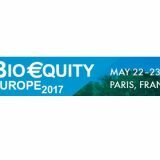 Now celebrating its 18th meeting, Bio€quity Europe is the seminal industry event for financial dealmakers looking for investor-validated life science companies positioning themselves to attract capital, and for pharmaceutical licensing professionals to assess top prospects. Bio€quity Europe has showcased more than 700 leading European companies to thousands of investment and pharma business development professionals. Delegates from 24 nations attended Bio€quity Europe last year in Copenhagen.